Looking for ironclad protection? F-Secure Internet Security 2014 ($80 for the “lifetime” of your PC—up to seven years) is bulletproof, ranking among the best performers in AV-Test’s protection assessments. But its interface is another story: If you don’t think user-friendliness matters, wait until you see this suite. Along with Eset Smart Security 7, Kaspersky Internet Security 2014, Norton Internet Security 2014, and Trend Micro Titanium Maximum Security 2014, F-Secure Internet Security 2014 offers the best protection of the ten security suites we tested. It protected our test systems from 100 percent of real-world (unknown, zero-day) malware attacks, including web and email threats, and it also shielded systems from 100 percent of widespread known malware attacks. F-Secure isn’t invincible—even Superman has a weakness—but it’s pretty darn close. In usability tests, F-Secure identified five legitimate programs as threats during a routine system scan. That put it in a tie with Vipre Internet Security 2014 and Webroot SecureAnywhere Internet Security Complete for the most false-positive flags in our roundup. In AV-Test’s performance tests, F-Secure scored a 2, meaning that it imposed less strain on system resources than all but one of the other most effective malware-blocking suites, that one being Kaspersky Internet Security 2014. No touchscreen-friendly tiles on this settings menu. 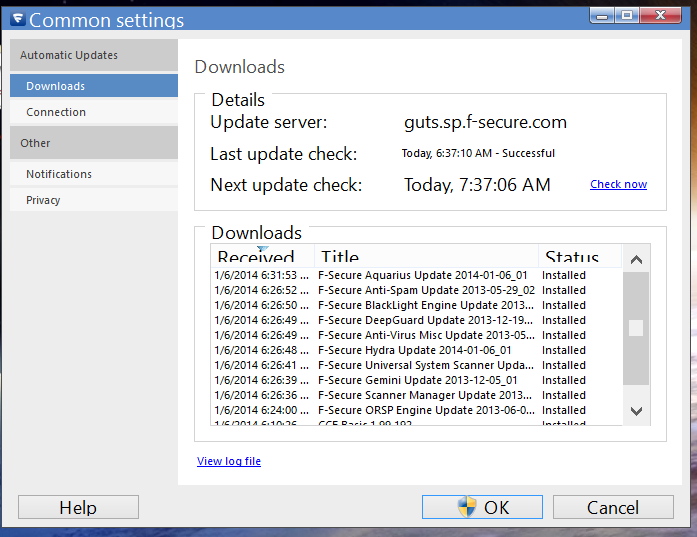 Installing F-Secure is arduous, with a few screens stretched across a long process. The first screen is a license and user agreement (no other suite has this). The second screen walks you through downloading the rest of the installer, which can take awhile if you have a slow connection. A third screen asks whether you want to participate in F-Secure’s real-time reporting program, and the fourth screen commences the actual installation process. F-Secure detects conflicting programs, such as rival security suites, and requests that you uninstall them before proceeding. And you’ll have to reboot your computer before the installation is complete. Instead of using a big, touchscreen-optimized window, F-Secure opts for a small, unobtrusive launch pad that hangs out at the bottom of your screen. The launch pad has five buttons, for Computer Security, Online Safety, Safe Profile, Search, and F-Secure. Clicking Computer Security opens a window that’s closer to what you see in other suites: It provides a picture of a computer with a green checkmark (if you’re protected) or a red ‘x’ (if you’re not), and quick links to scan and settings. The window also includes tabs for tools (advanced scan, firewall settings, quarantined files) and statistics. The settings menus are not designed for amateurs—they're full of checkboxes with little accompanying explanation. Each icon from the launch pad has its own settings menu, except ‘Safe Profile’ and ‘Search’, which are browser-based options. We should also underscore F-Secure’s unique approach to pricing: Whereas most of the nine other suites in our security roundup charge between $40 and $80 for a single year of protection but offer coverage for between one and three systems, F-Secure charges $80 to cover only one PC—but its coverage lasts for seven years (only Vipre, which charges $50 for two years of coverage for a single system offers more than a one-year term of coverage). Its pricing structure makes F-Secure a real bargain if you have just one PC to protect. 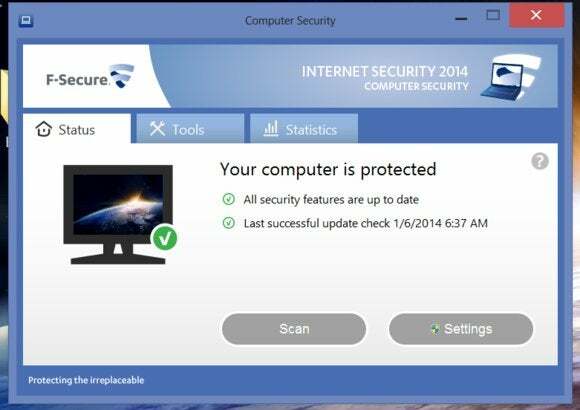 F-Secure Internet Security 2014 may offer top-notch protection, but so do several other suites in our roundup. Unfortunately, the program’s antiquated interface mars an otherwise great product. F-Secure delivered fantastic malware detection rates, but its interface needs some improvement.